Aqua (spring water), Cetearyl alcohol (emulsifying plant wax), *Simmondsia chinensis (jojoba) oil, Cetrimonium chloride (conditioning agent), Chenopodium quinoa (quinoa) oil, Lecithin (plant derived emulsifier), *Aloe barbadensis (aloe vera) powder, Triticum vulgare (wheat) gluten, Ananas sativus (pineapple) extract, *Althaea officinalis (marshmallow) extract, *Chamomilla recutita (chamomile) extract, Aroma [*Citrus aurantium (neroli) oil, ^*Anthemis nobilis (roman chamomile) oil, *Citrus sinensis (orange) oil, *Citrus nobilis (mandarin) oil], Potassium sorbate, Sodium benzoate (gentle preservative system), Citric acid (pH regulator), *d-Limonene, *Linalool (from essential oils). 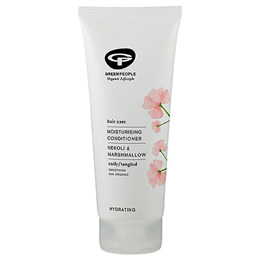 ^fairly traded *Made with 91.6% certified organic ingredients. 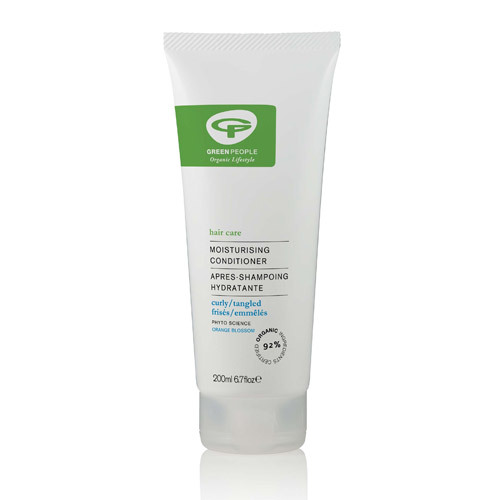 Below are reviews of Green People Moisturising Conditioner - 200ml by bodykind customers. If you have tried this product we'd love to hear what you think so please leave a review.